Monday thru Friday 8:00a.m. to 5:00p.m. Ancon Construction Company was founded in 1975 and is an Accredited Quality Contractor, only the third firm in the state and the first in this region to receive this certification. Ancon is a design-and-build contractor that offers a full range of services, including planning, site selection and development, rezoning and code compliance, construction, remodeling and maintenance. Ancon bears a company-wide commitment to quality, with a promise that each project will be exactly what the client wants, on time, and within budget. Design build commercial and industrial contractor, general contractor, building maintenance and metal buildings. Butler metal buildings, steel erection, concrete, carpentry, masonry, precast concrete and pervious concrete. Architectural, engineering services, site feasibility, site planning, rezoning, variances, code research. Manufacturing, medical, retail, automotive, offices, religious, recreational, warehouse, dental, financial buildings. 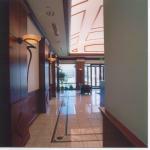 Additions, renovations, remodeling, green buildings, LEED buildings and energy efficient buildings.